Decorating for the holidays is so much fun! While the Christmas trees, the twinkling lights and the lush garlands make me smile from ear to ear, the sight of il presepio, or nativity scene, really warms my heart. 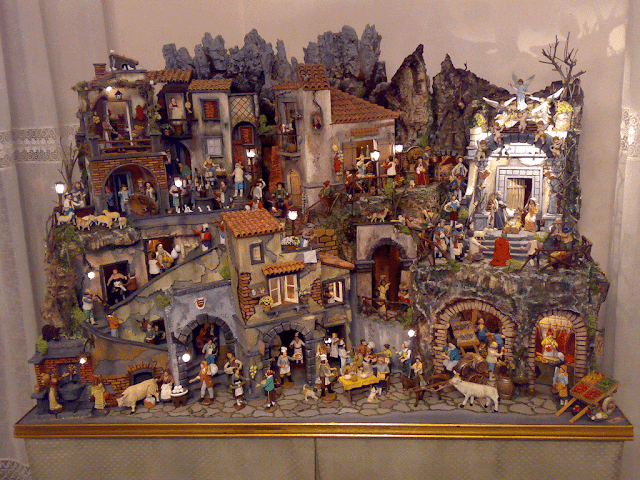 Il presepio has longtime been a huge tradition in my home. We have always enjoyed designing our presepio with the manger scene, alongside a tiny village. I always love looking at all the intricate details, from the hand painted statues of the holy family to the miniature town hall in the middle of the village. My parents go even as far, as building multi-level platforms, which are then covered by paper, moss and fake snow, to mimic the mountain range from their hometown in Italy. 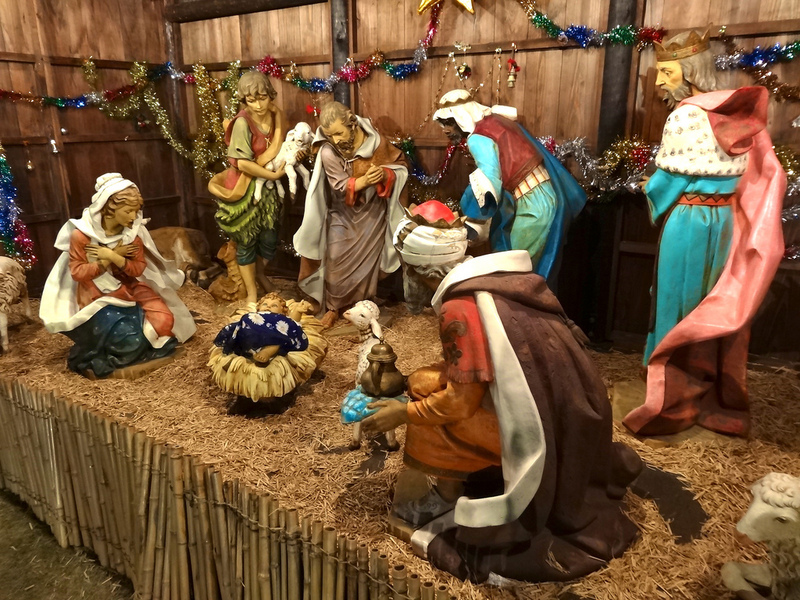 While my family enjoys going all out when putting together il presepio, many opt to set up a simple manger with statutes of the holy family, three wise men and animals, which is just as beautiful! 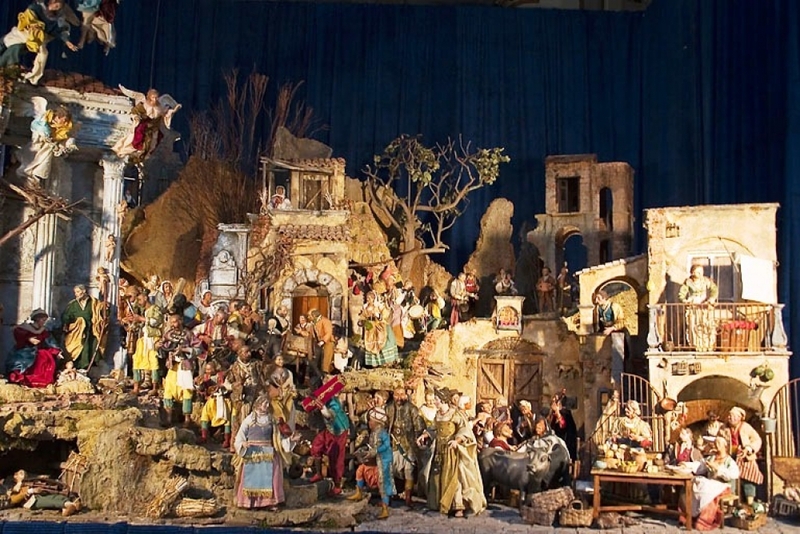 After all, that is how the original presepio was designed back in 1233 by Saint Francis. It was on Christmas Eve of that year that Saint Francis staged a story of the birth of Jesus in the city of Greccio, Umbria. 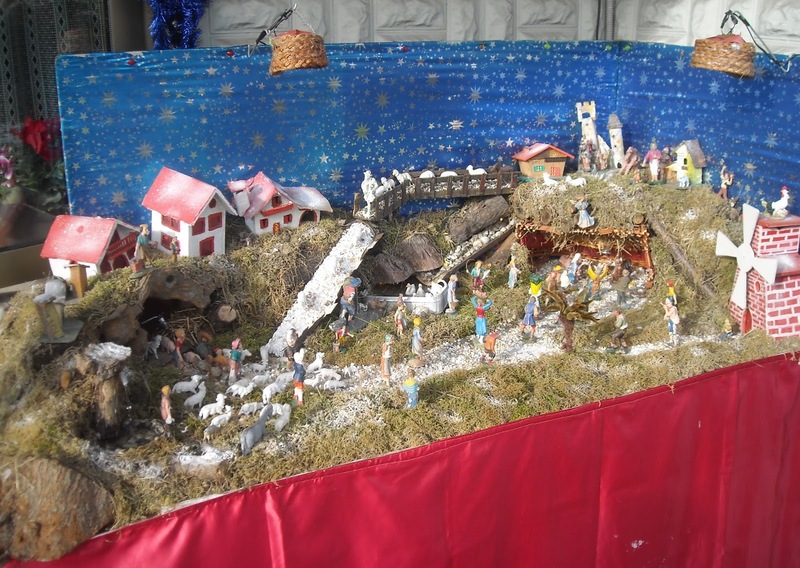 When word got out about his presentation, many churches were inspired to create their own presepio with large realistic statues. 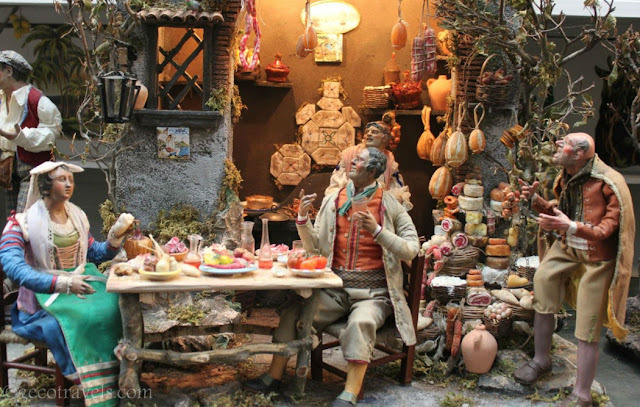 The practice of presepi became especially popular during the 18th century in Napoli, with elaborate representations. 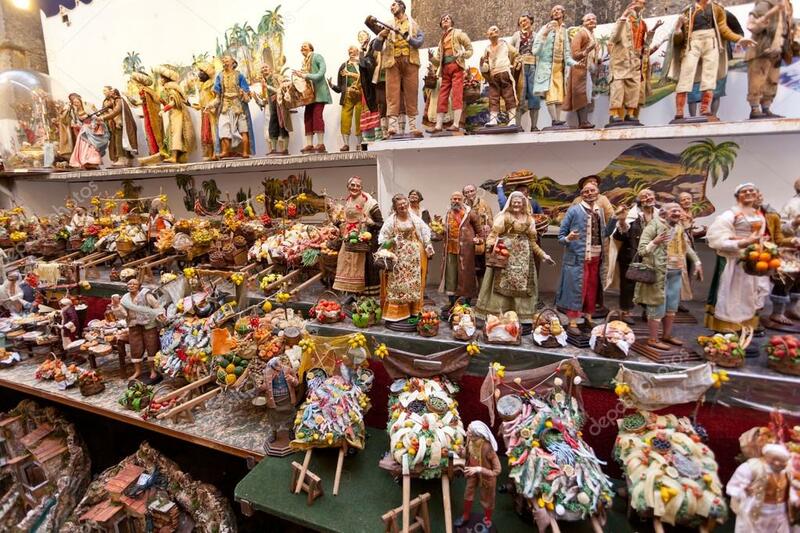 Artisans were called to create miniature statues made of wood or terracotta for the presepi of royalty and the wealthy. Today, Napoli remains the hub for presepio art, as it is known for it's mercato del presepio (nativity scene market). 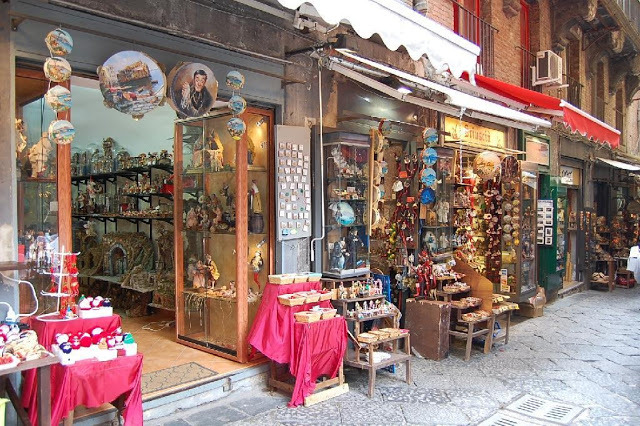 The street, Via San Gregorio Armeno, which has become known as, "Via dei Presepi" (Navity Scenes Road), is where one will find a multitude of artisan shops, with presepio pieces being created year-round. 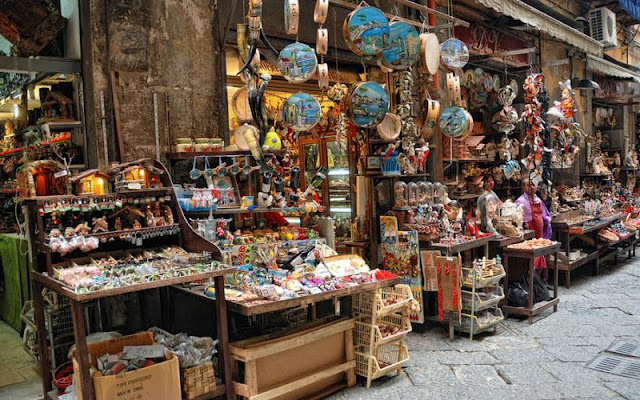 Below you'll find some photos from this popular street in Napoli, as well as a variety of representations of il presepio.